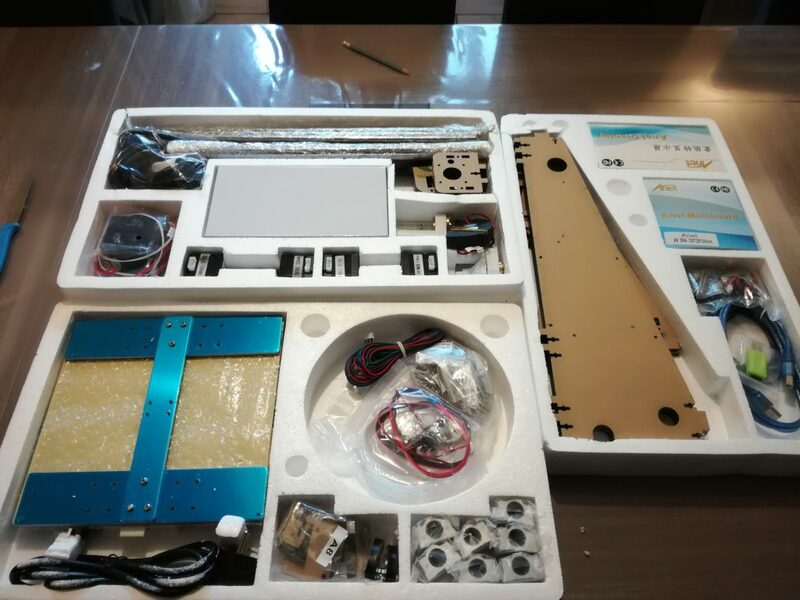 When you are used to mounting a piece of furniture for example, it is because an assembly manual is usually provided in the box. 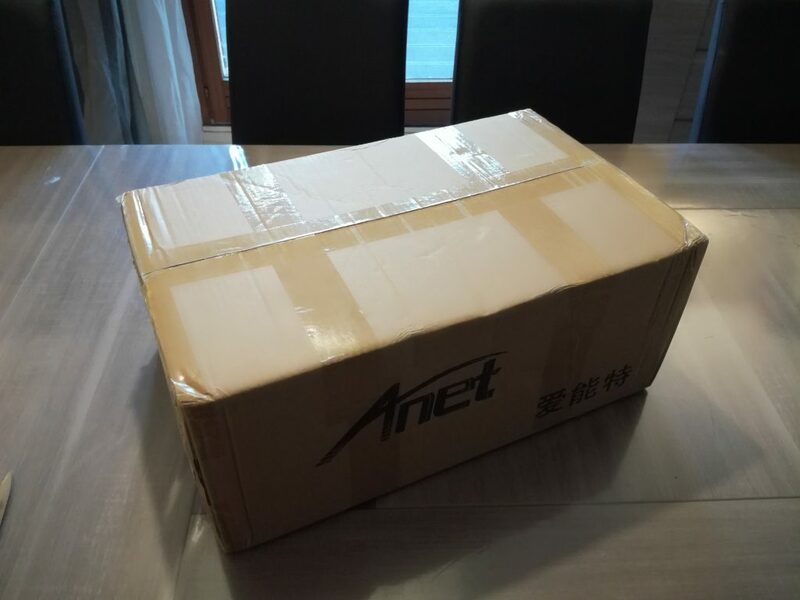 Well, Anet doesn’t give out an assembly booklet (we start to get a little scared at the beginning) and if we search a little bit we end up finding a small USB stick, which is in fact only a Micro SD drive. And you will find on the SD card a whole documentation of assembly in English. If it has the merit of existing, it is rather unclear and we do not clearly understand where this or that screw goes. 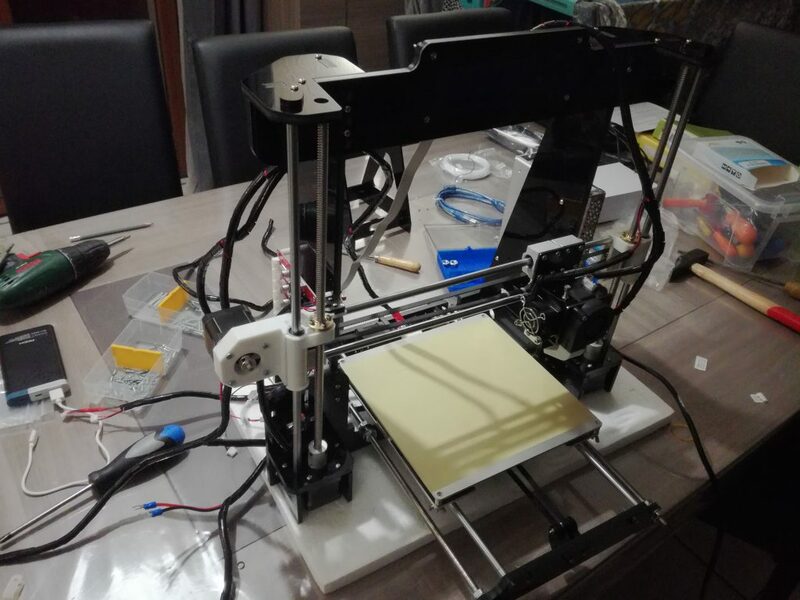 To make life easier for the French speaker, I will try through this article to guide you through the assembly of your 3D printer. These videos will also be very useful in your editing: Part 1 and Part 2. Come on, let’s go for the photojournal. Plate 1: Build the platform, wire covers, tools, screws, display assembly, power cable. 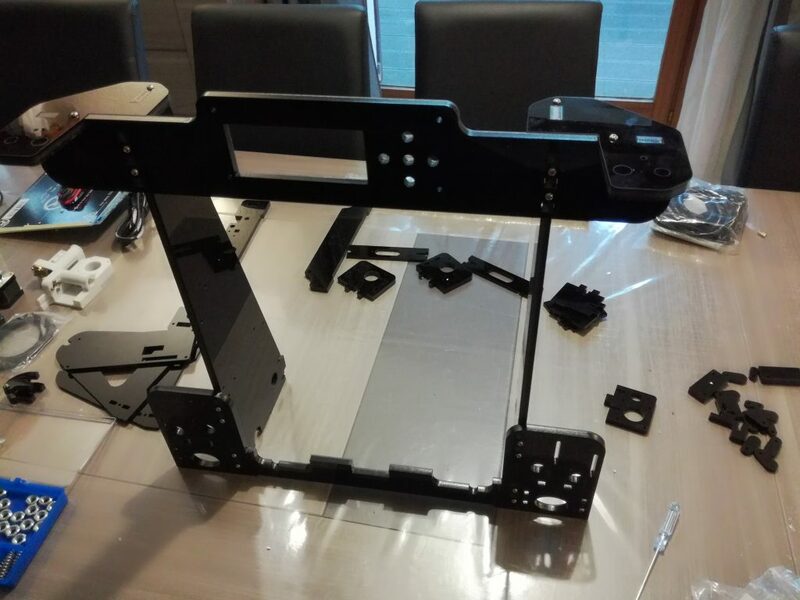 Plate 2: Frame parts, Z-axis mountings, control panel, cooling fans, USB cable. 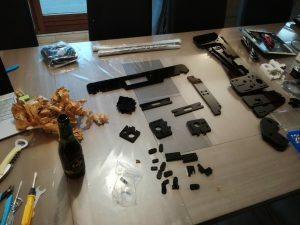 Plate 3: Other chassis parts, power supply, extruder, step motors, rails, bearings. A quick and faultless blending requires a good organization and… some beers (or something else, eh?). If I can’t provide you with the seconds, I can always try to give you some ideas for the organization. To do this, I use a small box with different compartments to put my screws in. That way, I have them all at hand without having to scramble through the little bags at each step. Then all the tools are provided. So in theory it can be totally autonomous in the middle of the Amazon. 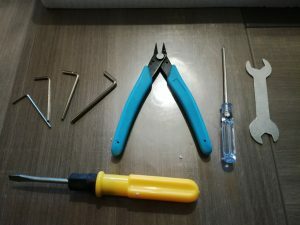 But if the tools do the “work”, you’ll be more comfortable with yours, I ended up leaving the supplied screwdrivers to take mine. 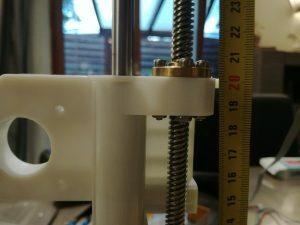 Also think of taking a metre or a large ruler to adjust the height of the Z axis, and I also took my viewfinder, because for example to chain the heated bed screws it only took me a few minutes with the electric screwdriver. Removing the protection or not, that’s the question? 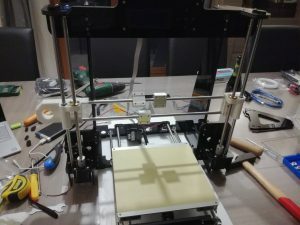 All the plates that form the structure of the printer are made of black acrylic. It’s beautiful and we puts our beautiful fingerprints on it. Except that before seeing the gloss of acrylics, you will have to remove the protective paper. Count easily 45 minutes to 1 hour to get rid of it. Since this paper doesn’t manage the functioning of the printer, I saw on the internet some users left the paper. Well, that’s up to you. Personally, I took it off. Here are the pictures before and after takeoff. For parents, if you have your children close to you, it is clearly the time to involve them and introduce them to DIY:). Finally we can start. Assembly of the structure. Before explaining this step, I will talk about how the screws are fastened together. You will find this function very often. In fact, you insert the nut into a slot that is just the size of the nut and will lock it when you insert the screw into it and screw it in. It’s not easy to explain how it works so here’s a picture that will be much more explicit. Watch out for nuts that easily slip out of our fingers. Take the 4 largest acrylic pieces to assemble them according to the technique shown above. Take the two small L-shaped pieces. They are inserted on either side of the “Display” part of the printer. Watch out for the position of the holes. You must have this result at the end of the first two steps. 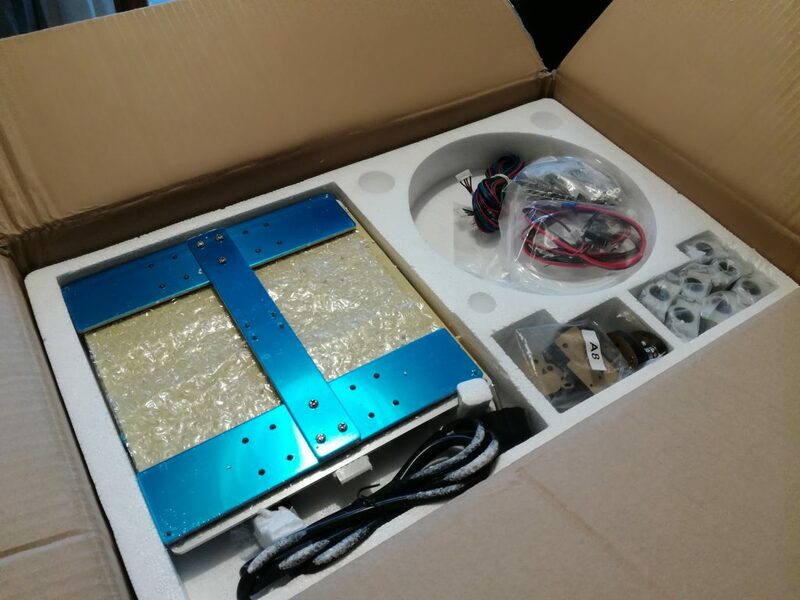 In this step, we will install the Y axis limit switch. It is mounted on a small holder that attaches to the back of the printer. Bring the Y limit switch. A label marks it. 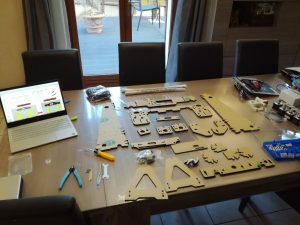 Once this part has been made, it must be assembled at the back of the printer with the screws m3 * 18, according to the usual method. The photo on the right shows you what you need to have at the end of step 4. 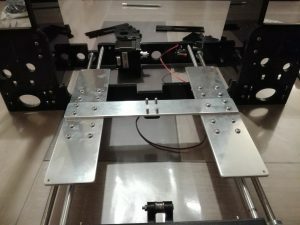 The motor of the Y-axis must now be placed on this plate. 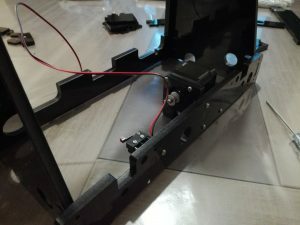 The motor is initially mounted with 4 screws M3 * 12 on an acrylic plate which is rather square, recognizable because it is drilled with a large and a small hole. 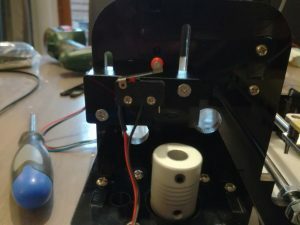 Once installed, the motor is attached to the rear plate of the printer. Remember to install the small piece of plastic that serves as a support at the rear of the engine. You can see it in the picture below. You just have to assemble the rear block with the Y engine to the main structure. We take the opportunity to also put the front part. At this stage, we no longer have large pieces of loose acrylic. Still small simple assembly. We take care of the part that will be on the front of the printer. We just put in the belt feeder. I don’t know if this is the right term, but I think it will speak to as many people as possible. As you will have understood it, the two threaded bars must be passed through the most opposite holes. Fit the nuts and washers so that they are on each side of the frame. Measure to make sure everything is aligned and at the right length. The smaller front frame is equipped with a roller bearing for transmission belt. In the rear center, you have the Y motor mount as we’ve already seen it. 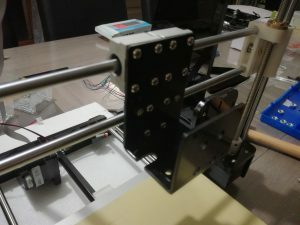 The pins are installed to stop the bars on either side of the printer. 2 per side. 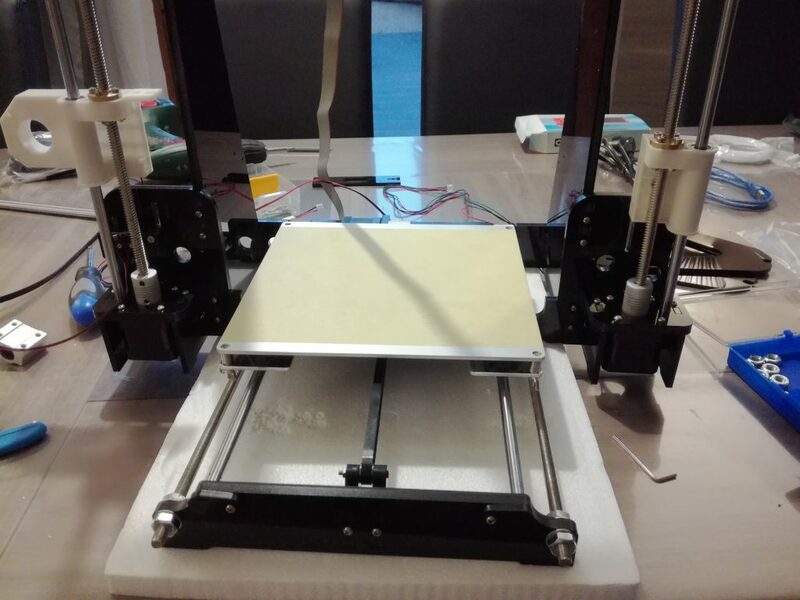 The two bars (the highest holes on the front panel) are then installed with the intent (after passing the first hole;) to install the future bearings of the heating bed. Then tighten the nuts of the parallel threaded rods and make sure that they are tight and equal in length. 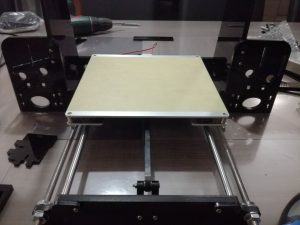 Here, we’re going to mount the support bed of the heated bed. It is installed just before a small support on which the future belt will be installed. The brackets are then screwed onto the bearings. There, I used the viewfinder to save a little time. First of all, the belt must be installed in such a way that it is sufficiently tensioned. Use the wire clamps to secure it. 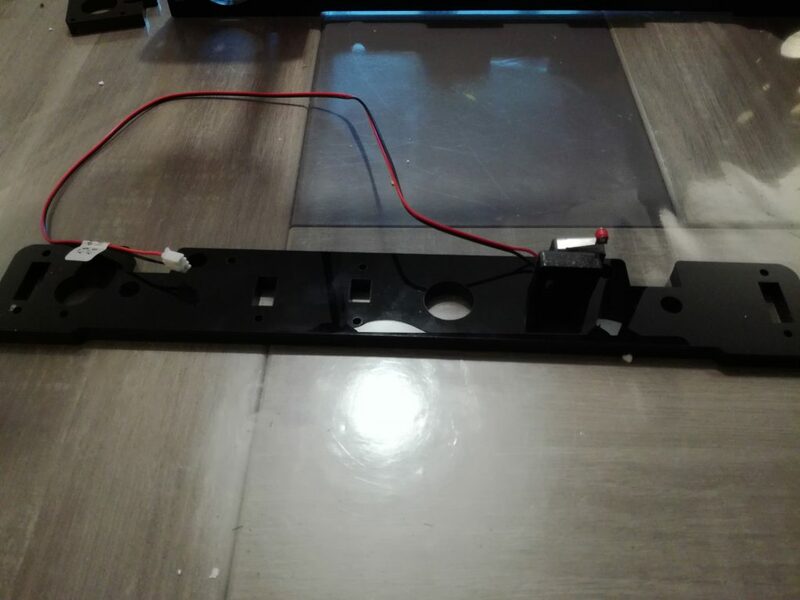 Then install the heated bed with a screw, spring and butterfly nut at each corner of the bed support. The heating bed connector must be at the rear. Tighten the screws fully. Nothing complicated here. 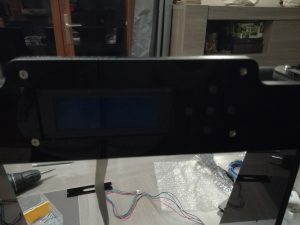 Simply install the LCD screen. 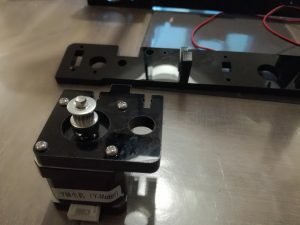 Assemble the Z axis travel limit switch (marked on it) with the 2 rectangular plates that you put on top of each other. 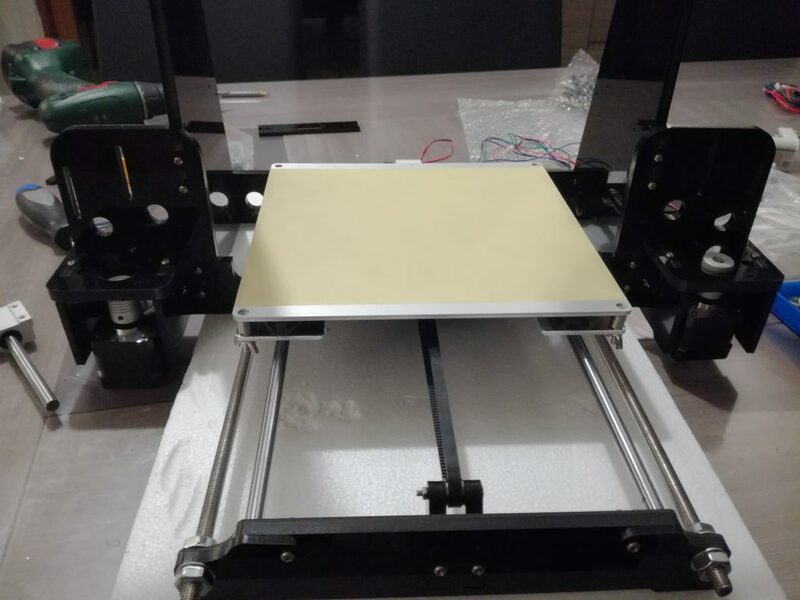 Then slide the screws into the holes, then into the rail on the left side of the printer (when you look at it from the front). Then the switch must be aimed with the two small wood screws. Well, a little long stage. Install the two small pear-shaped stop plates on top of each side so that they can plug the outermost hole. Do not block it immediately. 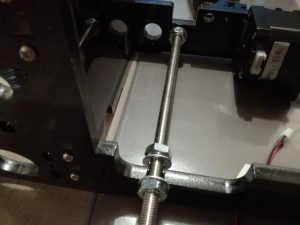 Pass the two unthreaded rods of 38cm through these two holes, thinking about installing the two future X-axis supports on them. The biggest of the two (the one that supports the X engine) is on the left. Then insert the two threaded rods that you couple to the motor (target). Then secure the unthreaded rods by plugging the hole with the small pear-shaped lugs. A few photos to illustrate my remarks which should not be very clear. Step that can be fast or not :p.
Rotate the coupler of both Z motors simultaneously to ensure that the two white X supports are at the same height. Take the two unthreaded bars and pass them through the X brackets. Now it’s all alone, like in the video with some kind of hammer. Either you go well galley like me you will have to file the hole of the supports and then go there with a big hammer. Think before joining the opposite support with the bar to put the bearings in it. Two up and one down. Once finished you can aim to hold both bars correctly. 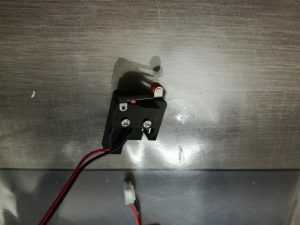 Unscrew the carriage from the extruder motor. Insert two M3 * 18 screws on both sides of the carriage in the middle of the carriage. And make sure by being a nut on each side of the plate that the screws come out on the outside. They will be used to maintain the future belt. The carriage is then installed on the bearings with the M4 screws (screwdriver). Then install the belt by attaching it to the two protruding screw ends. The belt teeth must face inward. Check the tension of the belt it must be tight, but not too much (just like you at that moment, courage we reach the end;)). 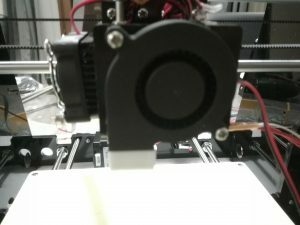 Install the fan, radiator and its grille to the extruder. 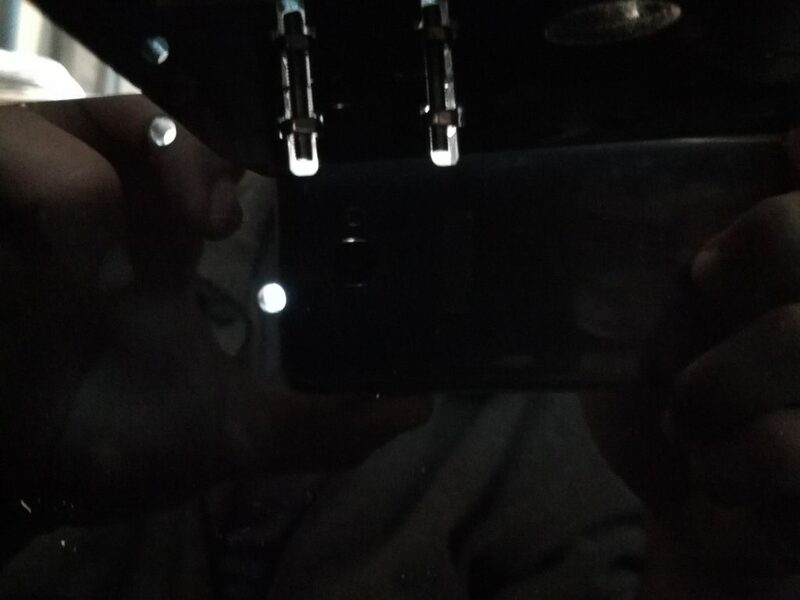 The M3 * 45 screws are fixed at the bottom. Pass through the fan, the radiator before attaching to the motor. Screw the extruder into the carriage holder. 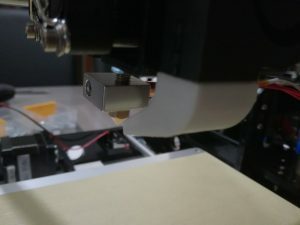 There is only one screw on the bottom that holds the extruder in place. Tighten the power bar nut between the lower heater. Once all of this is well installed on the cart. 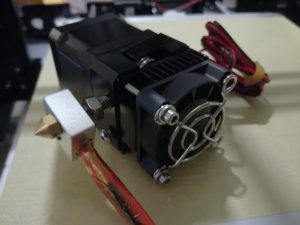 Fix the snail fan and fix it with the two M3 * 18 screws. Then place the small white cooling whistle underneath. Actually, it’s not quite over yet. There is still the support for the coil to be mounted. Except that at this stage it is really not a problem. 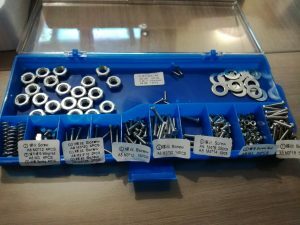 Some M3 screws * 18mm, the nuts that go with them. The small threaded rod, 4 nuts M8 and 4 washers of the same size and the turn is done. At that point, we finished with the mechanics. Now we’re going to tackle the electric. We’re really starting to see the end. Only one hour of assembly time should be left before printing begins. Take the power cable, power supply. 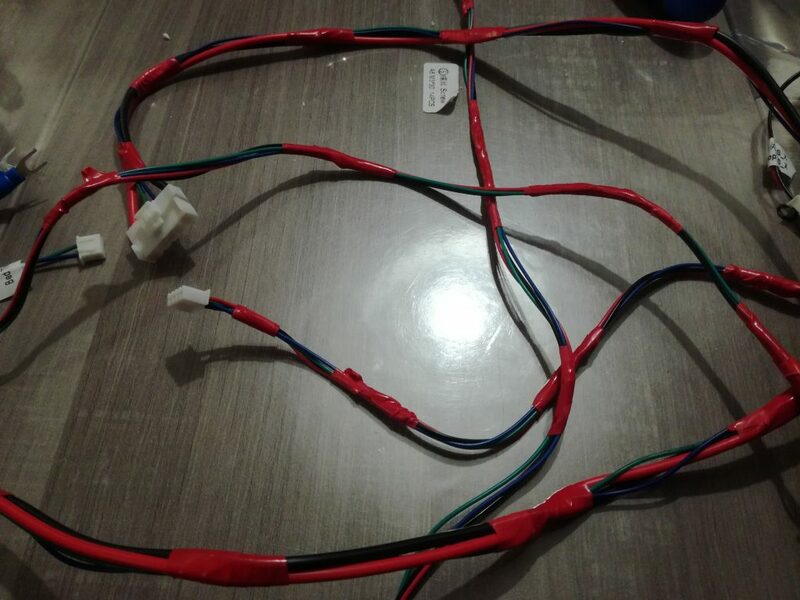 Connect the 220V supply wires to the left side of the power supply. Left most the brown wire, then blue and earth. Take the 12-volt power supply cable from the card (red and black cable with the U-plugs). On the power supply the three terminals in the middle are the negative (-) and the three furthest to the right are the positive (+). Connect the black wire to one of the terminals in the middle and the + on one of the three terminals on the right. Then attach the power supply to the structure (right) with 3 M3 screws * 12mm. 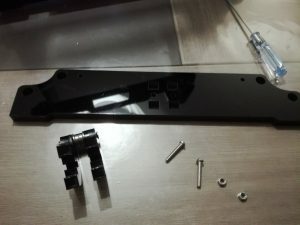 Install the motherboard on the left with the screws and crossbars. Then install the limit switch on the motor mount X. There are two small holes to fix it. Then we take all the cables, and then I thought that it was going to be a mess, there were little flying cables everywhere. So I put all these wires together with electrical tape to get a clearer picture. I then cut pieces of sheath to the desired lengths, to make it clean, finally as clean as possible. A little more patience, because at this stage you will still have to make all the connections. The cool thing is that it’s as simple as in the 7th company movie (a french movie) (the red thread on the red button, the green thread on the green button). In short, everything is indicated and marked. By taking the time and a few breaths, you will reach the end. Anyway, I forgot to take pictures of the connection so you will have to do without :).